4 Types of popular post widget for blogger blog to increase traffic, here we have all types of Top, Best, Stylish, multicolored and animated Popular Post Widgets. Popular Post Widget in Blogger blog plays an important role to increase traffic because all of your popular posts which increased your traffic and get indexed by google will be visible to your visitors and readers. And hence it must appear stylish and beautiful. That is why Popular Post Widget in Blogger blog has an importance. In this post we have provided you 4 types of popular post widget. These are some of the best popular post widget and very stylish popular post widget for blogger blog. In below article you will get animated popular post widget for blogger blog, Stylish popular post widget for blogger blog, Multicolored popular post widget for blogger blog and one of the top and the best popular post widget for blogger blog. I will provide you step by step procedure and method for how to add a popular post widget in blogger templates with all blogging tips and SEO tips. To add popular post widget in your blogger blog. You just have to follow the below guidelines. These Blogger Widget for popular post shows rounded borders and also makes thumbnails and images circular. Thus it looks attractive. 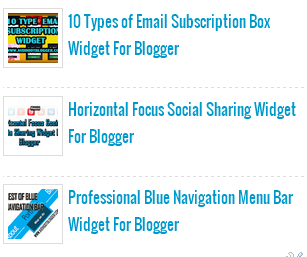 These Blogger Widget comes with nice features. It shows posts with labels and also shows the number of comments for that post. Thumbnails and images are circular in this blogger widget and also gives read more feature. Popular Post Widget with rounded thumbnails for blogger . These Blogger Widget is most widely used popular post widget. Features are rounded images or thumbnails. Shows the title of post as a link. Unique Blogger Widget shows popular posts with different colors. These blogger widget show only post title and no thumbnails or images but it is very attractive and grabs the user interest. Description : 4 Type of popular post widget for blogger blog to increase traffic, here we have all types of Top, Best, Stylish, multicolored and animated Popular Post Widgets.